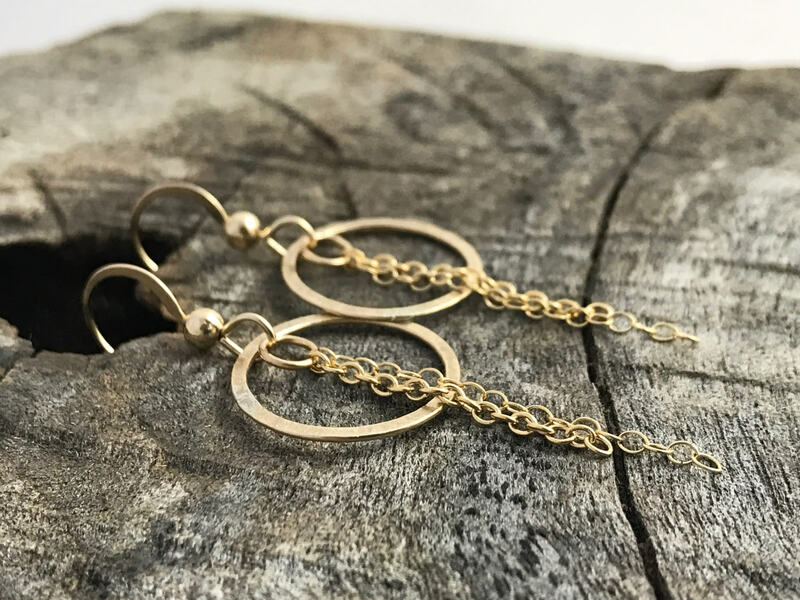 These happy "Sunbeam" circle earrings are simple, modern, pretty and so much fun to wear! 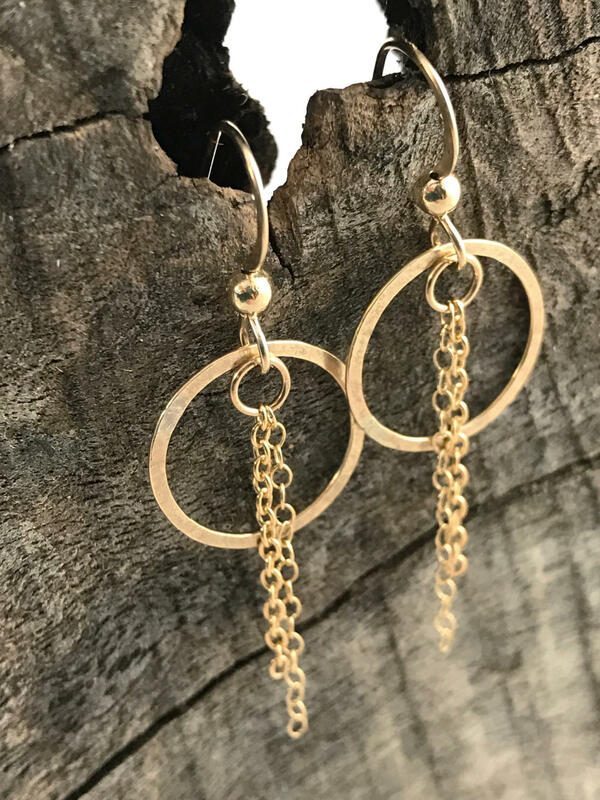 Made of 14k yellow gold fill, they feature a very subtle hammered texture and two types of 14k gold filled chain tassels which have beautiful movement. 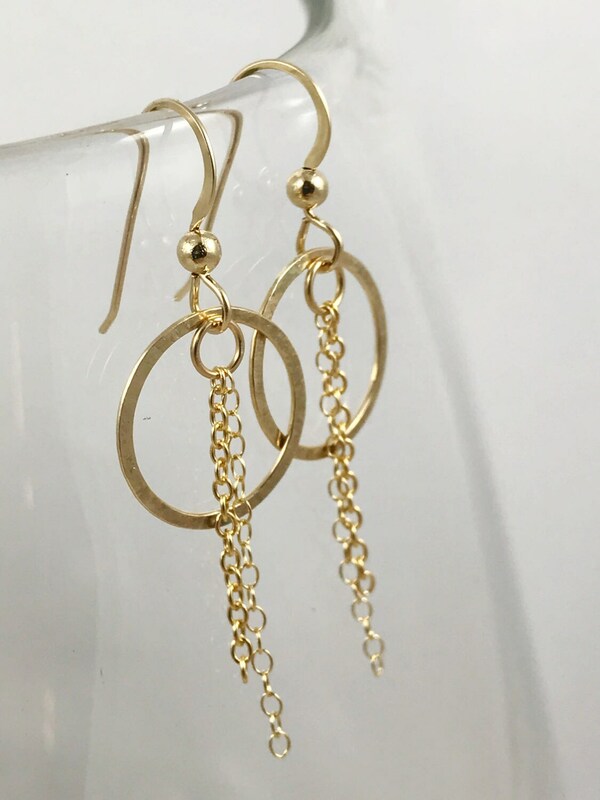 -Earrings and earring hooks are 14k yellow gold filled. -Total length of earrings from top of earring hook to bottom of longest chain tassel is about 47mm (1 7/8"). -Earring drop length from connecting point at bottom of earring hooks to bottom of design is about 32mm (1 1/4"). 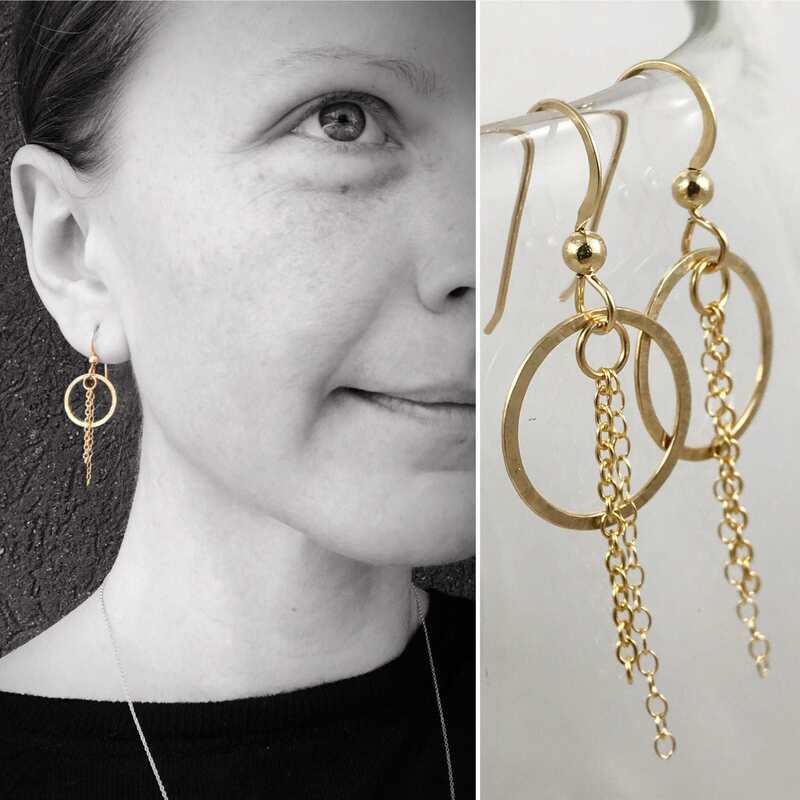 -Hammered gold filled circles are 15mm (just under 5/8") in diameter. 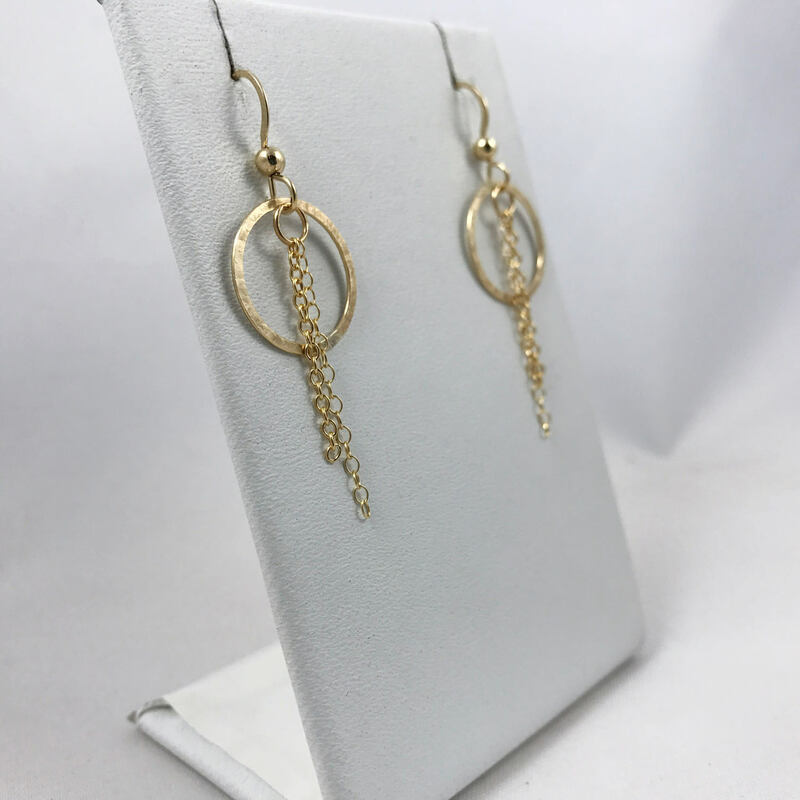 -Each earring has two chain tassels, one of fine gauge chain and one of heavy gauge chain (please zoom in on photos for detail). -Earrings are lightweight and comfy to wear. -These are hammer formed and each pair has it's own texture features, but will remain true to the design.